Great (although gruff) NPC and attention to detail make this a great scenario. On the GM side of things, this is a great scenario. Lots of background for the central NPC that you probably don't need, but at least gives you an image of what makes him tick. I sort of had to telegraph the faction missions because otherwise people had no idea what they're supposed to do. There are apparently old faction letters explaining their goals, but those are outdated by now and you'd really need to know them, otherwise you won't know what you're supposed to do. The sidebars are really helpful in steering the scenario and clearly outline what's supposed to happen. Big props for that, I wish more scenarios were this clear. It's sometimes a bit of a hassle to find important information. As a player, this is a great scenario. Higher tier is definitely where you want to be, especially since the first encounter is sort of lacklustre otherwise. Last combat is probably a bit too easy if people come prepared, but beating the enemy isn't the real challenge here. Still, the combat is easily telegraphed and if people prep accordingly, it might get a bit easy. The Cheliax faction mission is a bit of a hassle. You're supposed to schmooze up to the NPC, but he's not really willing to talk, so my players weren't really keen on pursuing that, making the boon easy to miss. It's also pretty hard to find the time to talk to him, as there's no real downtime; you're continually whisked from encounter to encounter without any time to settle down and have a chat. The "split" is a cool twists on scenarios and works well, I feel. There's a route the scenario supposes you take, but the alternative route seems equally plausible and well-thought out. There's a cool bit of roleplay and some non-combat encounters I really appreciated. It's a minor thing, but I appreciated the weird little thing in between combat encounters, and I think my players did as well. It's out of the ordinary, and kind of refreshing to do. My only gripe is with the story. Semi-spoiler, so spoiler tags. The blurb and introduction promise a sightseeing/scouting tour and cool interactions with the titular Wardstones, but in the end they're only a means to an end. It's supposed to be a grand thing, and possibly the reason the party is sent out, but once you see it, they go "Yep, that's a Wardstone, here's more stuff to do." The party's first instinct was to find a fix for the failing Wardstone, but in the end they're just saddled with a fetch-and-retrieve mission while the actually interesting stuff (read: fixing the Wardstones) never gets mentioned anymore. In the end, I really liked the scenario. The roleplay is cool, with an interesting (albeit difficult to communicate with) NPC, and lots of little details make the scenario really easy to run. A few narrative hiccups prevent me from giving full marks, but it's close. The main plot is about an old warrior's mental thought, not too unique but love it. Many roleplay plots, if you play a character with social skills and enjoy perauading, you should try this. However the downside is combat. We played high tier with the BBEG too weak, disappointed. The first one is okay of difficulty, but too many fogs and tokens to do, drag the fight long without dealing much real threat. Didn't play the optional. Maybe the low tier scales better. I GM'ed this last weekend and it seems TheDegraded was one of my players. I'd been looking forward to running this one for a few months, due to various scheduling mishaps, but it finally happened. And I wasn't disappointed. This scenario has a story to it that has to be pulled off in order to really drive the scenario home. That wasn't easy but the scenario does give you some good material for it. And when you use that, the story makes sense to the players at the end. It really helps if the players are of a mind to engage with the primary NPC. The faction missions help with this, and good knowledge/gather info checks can also help. But other than that, at the beginning the guy is a bit uninviting. I had to nudge a little to get the players over their initial "oh, if he doesn't wanna play ball, then we're not gonna play ball". After that things went easier. I think what this scenario really needed is one or two small scenes designed for conversation with the NPC. If you really look at it the text closely, you kinda get zapped from encounter to encounter, but it's supposed to be the time between encounters that you do the talking. Okay, so much for the gooey stuff. On to the gore. This scenario doesn't have a lot of fights, but they count for a lot. The party had to play up with 4 player adjustment, just barely. The jump in difficulty is quite steep here. The barbarian that TheDegraded mentioned was played by a friend of mine. This was one of his first games at higher tier, and he suddenly discovered that he was no longer able to solo/oneshot encounters. Instead, he found himself 1-2 turns of movement ahead of the rest of the party, facing multiple casters with extreme synergies, standing just beyond his reach. Well, it turns out Superstition only goes so far in protecting you. But I was cheering just as hard as the rest of the party when he survived that pileup with a natural 20. After that, it was still a bitter fight, but the party triumphed. I didn't have time for the optional encounter, and I don't mind in the least. That one is really the weakest part of the scenario, but it could've done in the party. The final encounter was also quite epic. I don't want to spoil anything. However, it's one of those cool fights where there's much more on the table than "can we kill them before they kill us". My players were searching through all their chronicles to scrape up boons to find some +2 to this or that to make it. When they won, it was a true triumph. Story and setting: this adventure is built into the S5 metaplot and into Golarion quite nicely. It showcases an exciting area. I think that if you have a longer timeslot you can have a lot of fun embellishing the scenery some more. If you're comfortable adding some more background to the main NPC, it'll also be easier to set him up for RP. Factions: this is one of the first "new style" faction missions, from season 5. That is to say, not every faction gets a mission, but you get actual special rewards for them rather than prestige. Clearly at this point they were still working out the kinks of the system. The faction rewards for the relevant factions are pretty cool. However, for some of the factions you basically have to guess what your faction mission might be. They're mentioned in a faction letter distributed over the internet some time ago and preserved on the forum. However, you have to know which half year's faction mission to get. This is quite awkward. My advice to GMs: get the relevant faction letters and make the players of those factions read them before the session. They contain sufficient hints to get players going. Oh boy, oh boy, what a fun scenario this was! And no, that's not sarcasm. Let's start by saying that the scenario does an excellent job grabbing your imagination from the start and pulling you in instantly. You just feel immersed rather easily, which is always a good thing. Too bad that the main NPC is just pretty bland and rather tough to actually role-play as for a GM. A few more notes would have been appreciated as that would have significantly improved the role-playing portion. And then there's the encounters. Now, I was warned in advance that we would struggle playing this on the high tier with a level 3 and two level 4's around. The GM wasn't kidding. The fights were extremely tough and challenging, but it did give quite a few memorable moments, which itself means the scenario is solid and entertaining. To give an example: our level 6 barbarian almost died in the first fight. He was unable to move and a coup de grace happened. By sheer luck he somehow managed to live. A natural 20 was never a more pleasant sight. All-in-all, this is a fun meatgrinder that definitely is dangerous and lethal. Compared to other scenarios, I'm left with a feeling that I actually accomplished something important. As a result, I'm fond of this scenario and would still recommend it. On one such wardstone patrol, however, the party may find itself facing an enemy of an entirely different nature. Just curious, how does it handle the major issue the faithful of Iomedae have with the PFS? I kind of doubt even the Mendev Crusaders needing almost any warm body they can get would somehow sweep the Thorncrown of Iomedae under the rug as far as the PFS is concerned. Never has that happened to me before. Unfortunately one person went mad and had to be knocked out, but all the players and the NPC were returned alive. Shame we failed on the secondary mission though. Played this scenario yesterday at PFS. The sidekick NPC was so unsympathetic, I voted to not bother risking our lives near the end. Turns out that our good deed early on was not only useless but triggered worse things happening later, so I came away feeling that our work had been pointless. Apparently you can finish this scenario very quickly just by making the easiest decisions: "Yep, that's a nice stone. We're going home now." Good story but GARBAGE editorial work. How exactly are the PCs supposed to know what their mission is, I mean for the FACTIONS? Yeah, its written for the GM on a side note but I can't give it to them. If you are a Cheliax or a Sczarni or Silver Crusade faction member you'll never succeed in this mission, unless I actually TELL you what your mission is in front of everyone AT THE TABLE. Who edited this? Was any thought process put into how this scenario is supposed to be run at a table in a store? Anyone? McFly? Cheliax mission is to keep this war going and find out the weaknesses and strengths of the Crusaders. How you're supposed to find out what your mission is, is beyond me. Sczarni mission is to get contacts in the underworld of the Kingdom, how you are to find that out is again beyond me. Unless I tell everyone what your secret missions are. And a gaming table at a store doesn't exactly spell out PRIVACY. That's why past scenarios had separate notes for certain factions. This scenario provides NONE. Eric, allow me to direct you to the blog post made several weeks ago, shortly before the beginning of Season 5. In it, Mark and I linked to every one of the faction head letters, which now behave like large-scale faction missions. These letters live in the Faction Talk subforum, where players respond to and discuss the faction heads' announcements with some regularity. The forum community has also done an admirable job of linking others to these faction head letters, ensuring that we are as clear as possible about how faction missions will work in Season 5. I have had the pleasure of meeting a large number of players at several conventions over the past several weeks, and I hear yet more from the many participants on the Pathfinder Society messageboards. Through these people I understand GMs are making a great effort to help explain the new process to players and fellow GMs who might not otherwise a) read email, b) read the Pathfinder Society blog, or c) frequent the forum. Some are even printing out the faction head letters to hand out to players in Season 5 scenarios so that everyone has a fair shot at understanding and accomplishing the missions. That said, I don't condone your treatment of the hardworking editors who had little to nothing to do with the particular point you are complaining about. Disseminating information about how the new season's faction missions work is the job of Mike and me. The editors work tirelessly (often with considerable deadlines) to ensure that the final product you enjoy is as clear, readable, and typo-free as possible, and I think it's an understatement to say that they do an excellent job. If you have a complaint about how a Pathfinder Society-specific mechanic works, please address those to Mike or me. These scenarios have been out for less than a month, and I'm sure there are ways that we can improve the presentation and execution of the faction missions. Perhaps that involves a sidebar or paragraph in the scenarios noting where a GM can find the faction head letters. I'm open to well-intentioned suggestions. Mr. Compton, I had the pleasure of attending a con with you this very weekend and at said convention, I ran 4 tables of 5-02. Of those tables, I never saw a Sczarni, I saw two Cheliax, and TONS of Silver Crusade. Not a single SC person had any issues completing their mission without hesitation. I didn't have to poke or prod them. While mustering was going on, I would talk with my players and explain the changes of season 5 and let them know which factions had special things to do in the scenario (as it has been detailed in several places already, I didn't feel this was out of line) and for the Cheliax, I wrote a letter from the Paracountess for them to have an intro to the season. I could see how a Sczarni could fail their mission even IF they knew what their faction's goal was, but not if they have one of the two almost required faction skills as a Sczarni. That said, I had a blast running this and my only complaint is that after running 5 tables of it, I don't think I should run it (I had run it in preparation of DragonCon). Long story short, I LOVE season five, I feel that the changes make the Society as a whole more cohesive and make the factions' goals more of a bonus and less of the requirement they felt like before. I also appreciate the secondary PA boons available. Bravo to you and Mike for the changes. I'm sure there are ways that we can improve the presentation and execution of the faction missions. Perhaps that involves a sidebar or paragraph in the scenarios noting where a GM can find the faction head letters. I'm open to well-intentioned suggestions. It would be useful to have an official PDF of the faction letters, maybe two to a page, that could be printed and handed out at the start of a session. Some players are oblivious to the blog and forums, so this would help increase awareness of what their faction is aiming to do, especially in the first part of the season while this change to faction missions is sinking in. When I ran 'the Glass River Rescue' last weekend I made my own handouts in LibreOffice, but unless I'm mistaken, this isn't 'open content' that I can post online for other GMs. In the session I ran, less than half of the players had seen and read the relevant faction letter before the game session. I think some are still coming to the session expecting to get a slip of paper from their faction leader. I think the new way that faction objectives work is much more interesting and elegant than the old way, and look forward to seeing more over the coming months. Go here. The document titled "Season 5 Faction Missions" is exactly what you're looking for. And a note in the beginning of all the scenarios telling us that there is a change and that such a document exists would put most of us in a drivers seat again, as to how to prepare our players for S5. Expectations of GMs reading blogs are unrealistic when most of us are unaware of their existence. Most GMs pick up a scenario and print it and have no knowledge where the faction missions or faction 'prime directives' might be located or even knowledge of their existence. So, now I'm informed, however this is not an issue until the next GM has the same response because he picks up a new scenario and has no clue as to where to look. It is the assumption of the campaign (and a reasonable one, as far as I'm concerned) that GMs and players are all familiar with the contents of the current Guide to Pathfinder Society Organized Play. Whenever this document is updated, everyone who has the PDF in his or her downloads receives an email notification that the document has changed. This email is considered a transactional email by Paizo's email system and cannot be turned off like marketing emails (including the original email notification that faction mission posts had gone live on the messageboards) can be in a user's privacy settings. 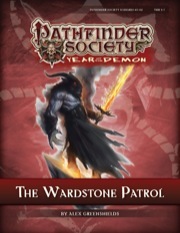 As such, only a player who has never played Pathfinder Society before, or who has started so recently as to not have had the chance to download the guide for himself (such as earlier in a weekend-long convention) can reasonably use the excuse that he didn't know about the current rules of the campaign, nor the season's faction goals. 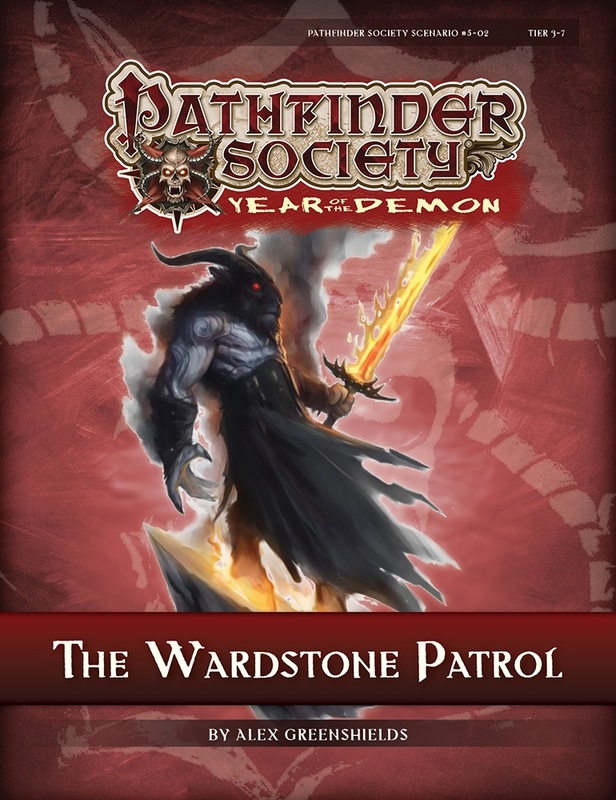 In general, if someone is unaware of the current faction goals, I suggest GMs urge those players to check their privacy settings on Paizo.com to allow emails regarding the Pathfinder Society campaign, as we now use these emails to disseminate just such information, as well as bonus Chronicle sheets and so forth. We rarely send out such emails without also posting the contents of the emails on the Paizo Blog, which folks can follow manually throughout the week, or with any number of news aggregators using the blog's RSS feed. At this point, I feel (and I believe John and Mike agree with me on this) that the creation of another PDF stating what we've already put in the Core Assumption via the Guide to Pathfinder Society Organized Play, in the email inboxes of tens of thousands of campaign participants, and on the Paizo Blog, would do little to inform those who missed the many places we've already presented this information. I played Glass River this weekend and NO ONE AT THE TABLE knew anything about the faction missions. If the GM did, he didn't say anything about it. I just tried looking for the Taldor faction info and I can't find squat for season 5 other than "Assist Lady Gloriana Morilla in gathering forces to march to Mendev" and some silly story about a kid and a stick for a sword. No where do I see "Dear agent, bla bla bla, please do/get/find/kill bla bla bla, thank you". I completely forgot why I came to this thread. If the PCs earn 2 empathy points and DON'T want to look for the soldiers, how does that proceed? I completely forgot why I came to this thread. If the PCs earn 2 empathy points and DON'T want to look for the soldiers, how does that proceed? I'd like to know that too! Almost a year and no response? I'm running this tomorrow, so I hope it doesn't come up. You deal with it how you would normally deal with the PCs not wanting to take the hook - you give them one last shot, imply it's a bad idea, and then cut to the end of the mod. They don't get any rewards for that encounter. If they fail to earn 2 empathy points OR decide not to rescue the soldiers, you run D2. Just played through this on Sunday. Our GM was woefully unprepared, which was a shame, since the ex-Sczarni Exchange character at the table couldn't possibly succeed at his faction mission with the GM paying no regard to Sir Ilivan, and in fact without that the scenario doesn't even work at all - which is the GM's fault, not the writer's. I read through the module after and I'm going to run it myself in the near future so I can at least see if it works when done properly. The scenario suffers a lot when run by an unprepared GM, sadly; it's one of its weaknesses. It doesn't handle it at all; in fact your post here was the first I'd heard of it. And my -1 is a paladin of Iomedae.